What a beautiful quote! I absolutely love books that open conversation for imaginative situations like this! 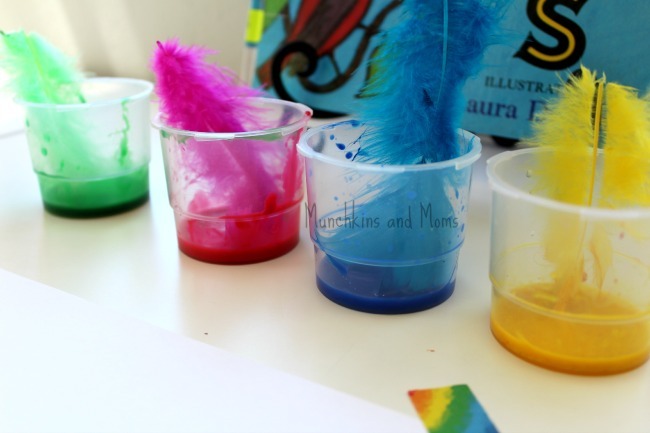 I just HAD to do the suggested activity for the book- feather painting. 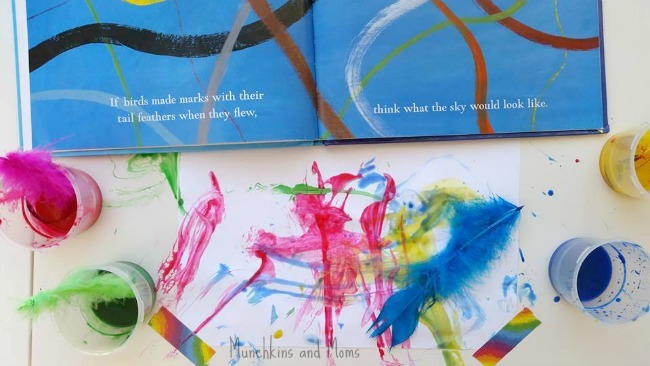 While feather painting is nothing new, when combined with this book (and specifically, this quote) it becomes so much more imaginative! Set up was simple. 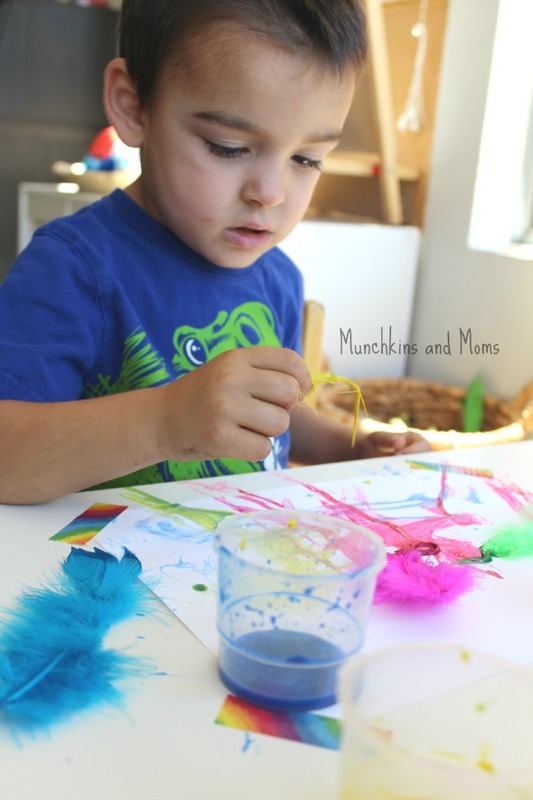 Paper, paint, and feathers. When we’re not using our easel, I like to tape the eges of the paper down to keep it in place. 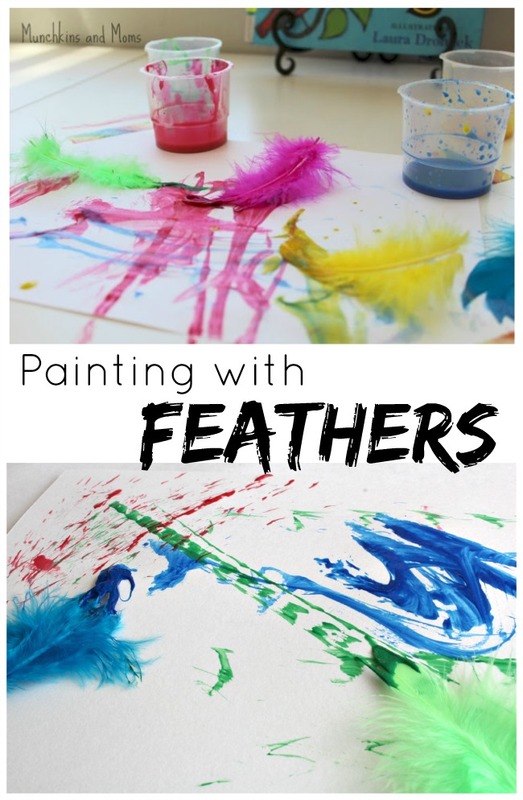 Since we have never painted with feathers before this was interesting. 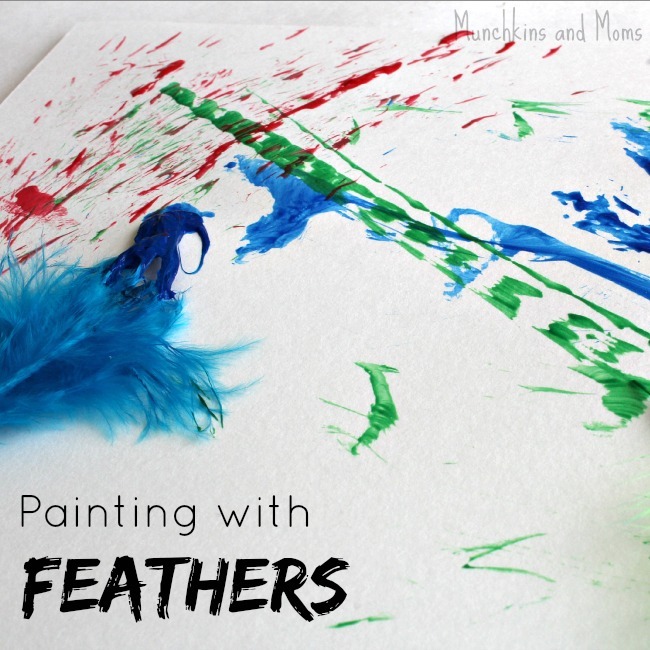 They are not as sturdy as paintbrushes, so the boys mostly dragged the feathers across the page. This is definitely a process-art activity. We weren’t trying to make anything in particular (that’s the beauty of process art! It’s “no fail,” just paint and enjoy the process! 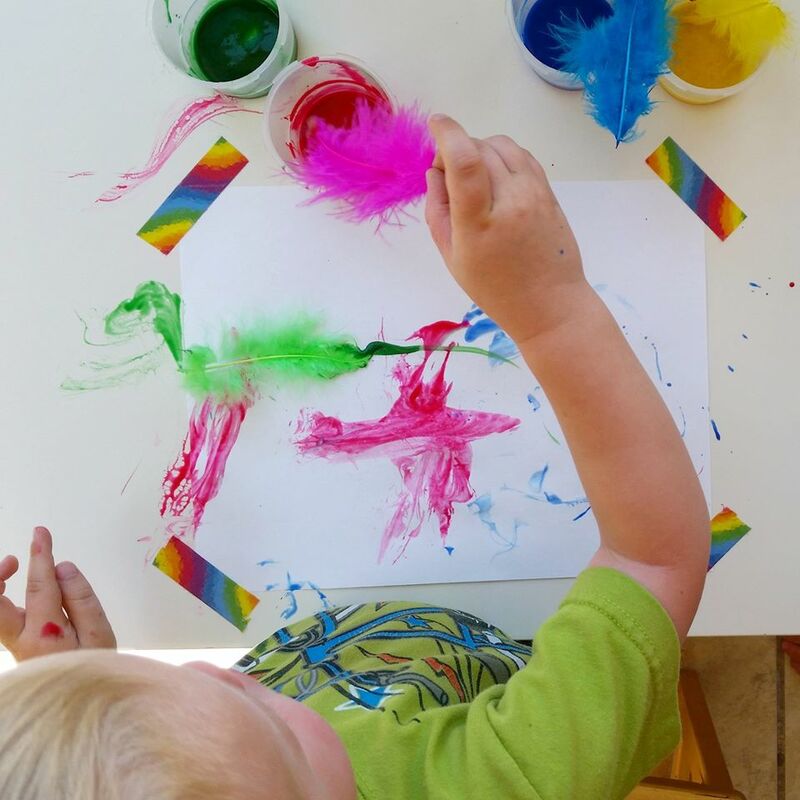 ), so we just explored the colors and feathers. As with many of our other activities, they often like to work for a while, leave to eat or do something else, then come back to it. I let them have these “brain breaks”. It’s the prefect time to process what is happening, gather ideas, and return with fresh perspective (they are now pretty trustworthy to have a small amount of paint left on their table, but I still keep a eye on it just in case!). 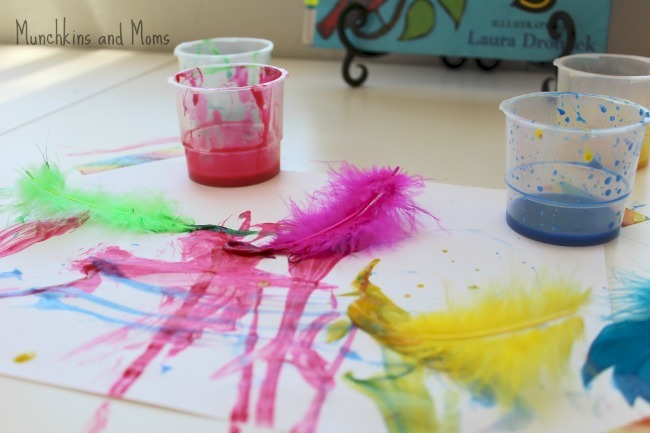 Besides that, it’s a nice way for them to experiment and make simple observations on their own (Do the feathers paint the same way after being left for a while? Is the paint still wet, or has it dried up?) There are so many things we can learn in one simple activity, what will your kids get out of this? Pingback: All About Birds! – Nature's Workshop!